taken will be more accurate since the time for the attendance taken will be recorded. 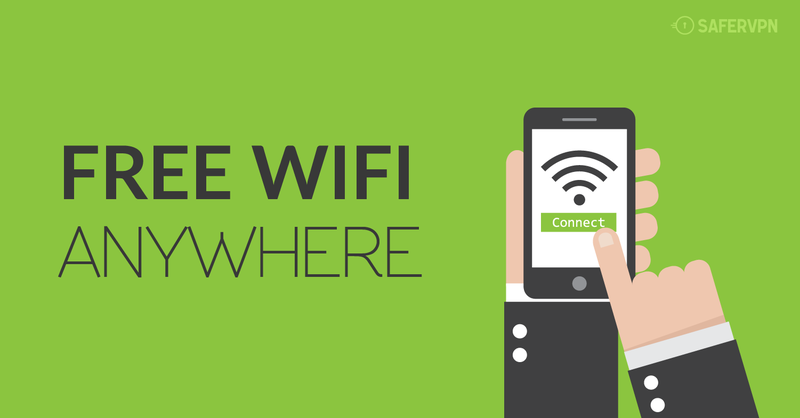 The system will be connected to the Secured VPN Server through LAN Cable. Our online basedschool management software help you to view Attendance report from anywhere,in any device(Mobile,Laptop,Tab). The Automated Attendance system also sends an instant SMS to the parents/ guardian that the student has reached school or is leaving school… or even if the child has not reported. What We Provide In RFID Attendance System ? Are you know Nearly 58,000 students go missing from school in India every year? Attendance system in School,college,Coaching center is generally paper based which may sometimes cause errors. Taking attendance manually consumes more time. So the proposed attendance system uses RFID technology to take attendance. In this system, each student is issued anDigital ID Card. Controlling unit is in the institute. Whenever the card with the students, it will take the attendance.The RFID Attendance System use for Child Safety and tracking system. » Employee Attendance System with payroll management. » Daily Attendance report to school. Biometric Attendance Machine refers to the automatic identification of a person based on his or her physiological or behavioral characteristics. It includes fingerprint, iris, facial and retinal. Fingerprint Reader technologies are becoming the foundation of an extensive array of highly secure identification and personal verification solutions. Today, biometric is being spotlighted as the authentication method because of the need for reliable security Staff attendance management system is an easy way to keep track of attendance of staffs within an organization. It covers the requirements of the personnel department in terms of day to day monitoring of staffs, calculation of overtime and transfer of relevant information to the payroll system and manpower analysis. Hence, staff attendance is an important issue every organization must take into consideration in order to be productive. UHF READER is a high performance UHF RFID integrated reader. It is designed upon fully self-intellectual property. 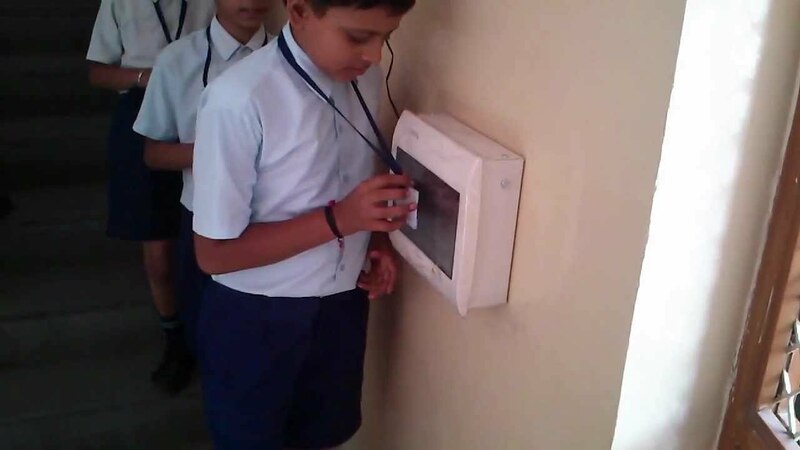 It can be widely applied in many RFID application systems such as logistics, access control, anti-counterfeit and industrial production process control system, Electronic Toll Management system.But First time in India Go my school use this Ultra High Frequency(UHF) Attendance Machine for student’s attendance system. How to use Automatic Attendance System from Student ID Card? We just change your student’s normal ID card. And give our world best UHF RFID card. The information related to the student will be attached to the smart card. When the student enters the schools with card the reader at the gate will automatic detect the card. The reader will detect the card and intimate the system and system will recognize the tag according the information stored as per the given record. Then the system will sent notification SMS to the parents that their child has entered in the school and the same time the system will store the information for the report purpose. At the time of leaving from the school premises, the system will sent notification SMS to the parents again and will also store the data online. It will add value to the school’s image by showing the parents that you care for the security of their children. It will also reduce irregularities and bunks of the students. The system will help the authority to simplify the whole administration work, save resources and time. » Every day school gets automatic attendance report via hard and soft copy. » Free Employee Attendance sytem with payrool management software. » Schools can track their valuable vehicle position, speed and lot more by using our School bus tracking system. » Schools can use Library management system. » Online payment receives from guardians. » Cash payment uploads option. » Automatic sent SMS to parents after every successful payment and reminder for payments. » We advertise your school profile in our worldwide most popular website. Thousands of students go missing from school in India every year. In nearly all these cases, the student did not report to school, or left school in time to not return home and we never knew of this until it was very late…If the parents or the school authorities could have known in time that the untoward delay/ absence of reporting is unnatural, we could have stopped the tragedy. 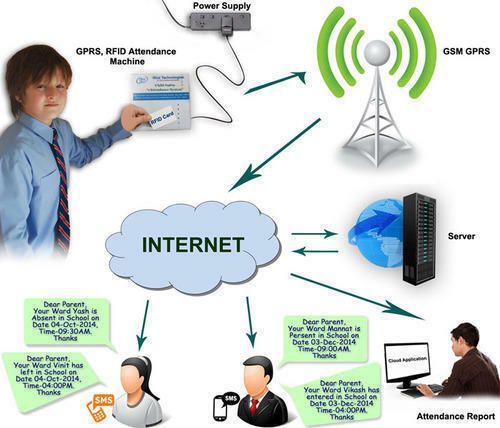 In our RFID attendance system system the Parents will get the notification SMS at least twice in a day so they can relax and concentrate on their work.The Digital Attendance system fully configured for Child Safety and tracking Purpose. » Tracking of homework assigned by teacher to their child. » Frequent interaction with teachers. » Reliable update on child’s attendance, progress report and fee payment. » Parents also track the school bus position. » Improved relationship and communication between school authorities and parents. Our GPS tracker Application of real time GPS tracking to school buses is driving operational efficiencies and allowing parents to follow their childern’s movements. What is School bus tracking system? Most kids throughout the globe have already gone back to school as usual. Only, the ride from a child’s home to school may be anything but ordinary. Various school districts throughout the gomyschool team have invested large amounts of money in GPS tracking technology. These districts hope that by monitoring school bus activity, children will safer than they have ever been before. 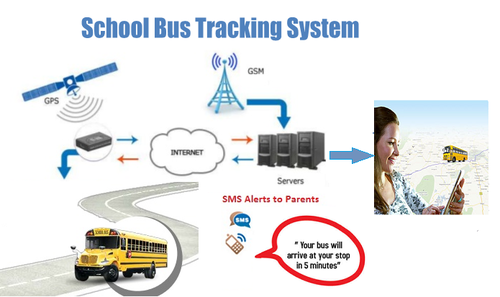 Benefits of School bus tracking system. » Realtime track bus position. » Check Bus Speed,and other. Join ZeniaxSolution to receive updates & news!